I never heard of dude but I liked the way Mos Def's "Priority" was flipped. Ced has some lyrics too. Look out for his EP One Day We'll Wake Up. I have to admit this is a clever video. It changes throughout, keeping you guessing as to what you'll be watching. Off AlBe's Apartment 3B. So the original "Top Rank" off JR & PH7's album The Standard had Guilty Simpson and Black Milk. I guess they wanted to complete the Random Axe cypher. Look out for JR & PH7's new album The Update, dropping November 9th. Soulful! Good Things is out now. Looks Like Another Job For Spectac is out now. One of my favorite albums thus far this year. Album Of The Year is out now. Fuego! Another restrospective courtesy of RJM Media. The Easter Bunny and The Human Mailbox. Sky and !llmind take a walk and discuss the approach to their upcoming project Live From The Tape Deck, dropping October 5th. With the pending release of his upcoming album, The World Needs More Skillz, he teams up with DJ Jazzy Jeff and J. Period for this taster. Trees EP (Part 2) is out now. Video: Metis - What's Real? Here's some spoken word from Metis. Real nice! The Path is coming soon. Labels: metis, video, what's real? The new mixtape In Between The Lines 2 drops in October. His follow-up album R.E.K.S. drops in 2011. This is the dopeness! Catchy! The Spaghetti Tree is scheduled to drop later this year. Now this came out of nowhere. At least for me. I've been following Wildabeast since the beginning of Notherground and then he disappeared after a couple of albums. Well, now he's back with another Notherground alum, Jelani, rocking over The Black Keys instrumentals, which they recorded in eight hours. Check it! Wake Up! is out now. The World Needs More Skillz drops October 10th. Last Call With Carson Daly features one of the up and coming voices of our generation. Act II is coming...at some point. Jay breaks down "Most Kingz", a song that will be in his new book Decoded. This is a cool tribute to Guru as the ensemble performs a version of Gangstarr's "Betrayal" with Aloe Blacc doing his thing. Speaking of Aloe, his album Good Things is out now. The collaborative album Wake Up! is in stores now. El Che is out now. Never heard of Moruf but I dig this impromptu session. Garden State Of Mind: Ready To Live is coming soon. Live From The Tape Deck drops October 5th. 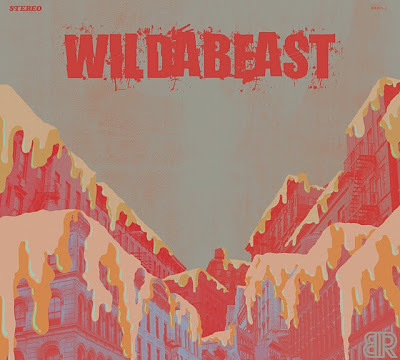 Bambu releases another video off his upcoming mixtape with DJ Muggs where he waxes poetic over Muggs' hit instrumentals. This one takes on SB1070. Los Angeles, Philippines is coming soon. An ode to the most popular hat and logo in the world. Go Yanks! Another member of the IWWMG stable. Look out for Sky's project with !llmind Live From The Tape Deck, dropping on October 5th. Joell is on fire! 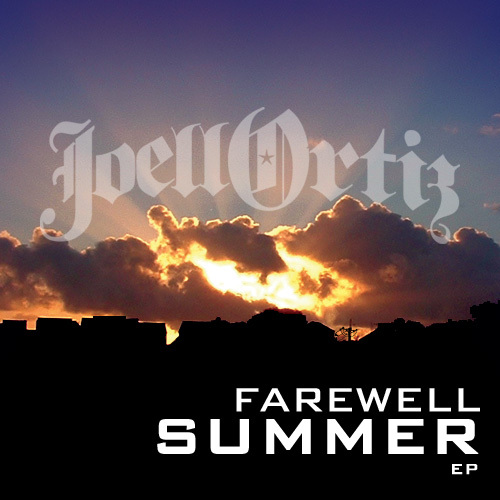 That Farewell Summer EP is bonkers!! Real dope and important at this moment in time. People should be able to practice their religion wherever they want in this country. Move freely! Slug is hilarious! Pick up the To All My Friends, Blood Makes The Blade Holy: Atmosphere EPs,out now. Very dope! BlackMale EP is out now. This looks interesting. But I hope it's not a situation where the film is hyped by the trailer. Another in-studio performance. I'm excited for this record! Wake Up! drops September 21st. Maestro catches up with 9th as he talks music and teaching at Duke. We even get to see a lesson unfold. The Heartland Panic is out now. See One displays his talent by making a collage of different scenes from the classic film. Cook's Recharged is out now. With some quality joints on his Not Your Average Joe EP, we finally see a video. Beats and rhymes! The Madlib produced In Search Of Stoney Jackson is out now. Here's the first single from the highly anticipated album Gutter Water, dropping this fall. Just wow! I see you Deep. Willing to go the lengths for this! If you want some lyrical, conceptual food then pick up Sandman's The Good Sun, which is out now. 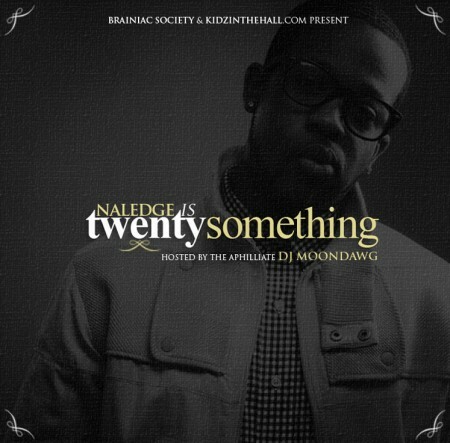 The Kidz In The Hall representative steps up with another solo project, giving you some insight and reflections on his life in his twenties. Props to Illroots. Enjoy! Unless you have been under a rock, you know Joell has been putting in a lot of work. Here's a product of that work. Also, be on the lookout for the Project Boy EP and his long-awaited follow up LP Free Agent, finally dropping on November 9th (as of now, if the powers at E1 stop with the shenanigans). Wake Up! drops on September 21st. It sounds like it's going to be a monumental album for both artists, not only commercially but also in the impact on a generation. At least that's what I hope for. Video: Truck North - What's Happening? Truck goes in over one of my favorite Reflection Eternal tracks "In This World". I Told You So is coming soon. Labels: truck north, video, what's happening? Black EL has teamed up with Durkin on the production of his follow-up Color Commentary, which is available now. Generation Next has a web series introducing new up and coming talent. Daytona gets the second look as he prepares for his upcoming project, in collaboration with LRG, The Interlude. This is just a montage of clips from Outasight's journey the past year put to one of the songs from his recently released project Never Say Never. I dig this track a lot but I'm not completely understanding what's going on in the video in relation to the song. It looked fun as hell to make though. Off No Room For Dessert, which is out now. Blueprint put together an EP for his stint on Atmosphere's To All My Friends Tour. Check the video then download the EP below. Tonespliff put together this footage of Fat Beats' last day in New York City. I bought a ton of my vinyl there so this is just classic footage of all time favorite DJs, emcees and just dope Hip Hop. Check out the other two parts below. Kinda wish there was another concept attached to this because this has been done many times over. Suicide By Jellyfish is out now and it's a good one. I had the opportunity to check out Forte at City Winery and if that performance is any indication of what's to come on his new album Water Light Sound, look out! The evening was magical and memorable all in the same breath! This is awesome! I've always liked the song but the video just put it over the top. Nice work! Bruno's debut album Doo-Wops & Hooligans drops October 5th. I wasn't expecting this and I'm definitely excited! This is off the upcoming box set Bring The Noise, Hits, Vids, and Doc Box: Greatest Sites And Sounds (Chapter 2 1999-2009). I posted this for Blu's verse but the song is kinda cute. Off Andy's UnFresh LP. It is weird that this is in that movie (you'll see) but the boys are working on a new album so stay tuned. This is off Remo's Entrapment. Live From The Tape Deck drops in October on Duck Down. This is dope! Off Fatgums and Bambu's A Peaceful Riot. The Adventures of Bobby Ray is out now. Tripping On A Journey is out now. I think this is his seventh album this year and the plan is to drop ten so more to look forward to. El-P sits down with Travis Millard to break down the creation of the artwork for weareallgoingtoburninhellmegamixxx3, which is out now. Gentrification is a motha! paper cuts... is out now. Sir Luscious Left Foot is out now. Never heard of dude but I dig this. That beat is dope! This is dope! B.o.B. rocking his own MTV Unplugged set. 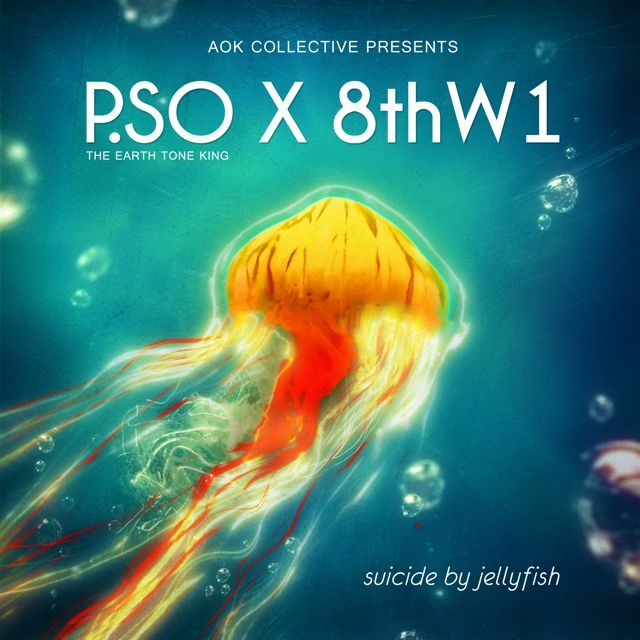 P.SO has finally released his anticipated project featuring 8thW1. Enjoy! Some concert footage set to the tune of Murs & 9th Wonder's girl dedication from Fornever. The song says it all. The Lady Killer drops December 7th. I have to admit Asher has quietly been making a mark despite sales and criticisms of who he is and isn't. He's doing his thing and it looks like establishing some longevity in this fickle industry. I dig the song too! His follow-up album The Spaghetti Tree is coming. Here's a nice rendition of the Bill Withers song which John Legend & The Roots are covering along with many other socially conscious songs on their upcoming collaborative project Wake Up!, dropping September 21st.